CloudFlare offers Free universal SSL Certificates to be installed in websites without any Cost.the Flexible SSL Option allows to create an encrypted connection between your site visitors and CloudFlare, but not from CloudFlare to your server. You do not need an SSL certificate on your server. Visitors will see the SSL lock icon in their browser. 4. This Step Involves Changing Site URL to https so that XML Sitemaps will work properly. Go to Settings->Reading and Change Site Url: Add Prefix Https. 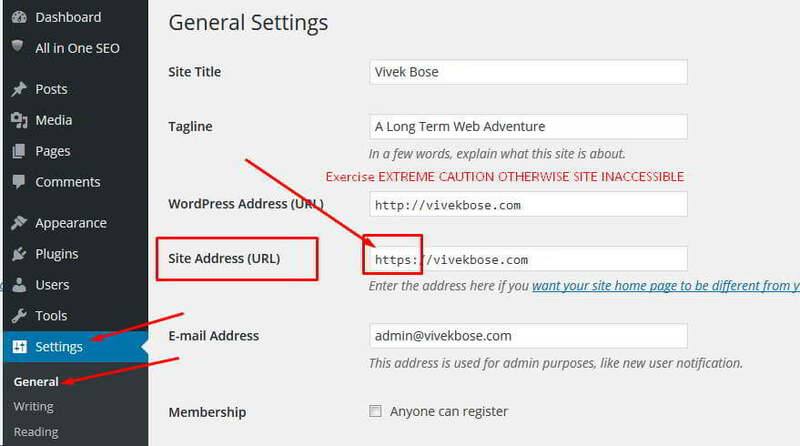 Step 4 can be skipped if you do not want to change Sitemap Https Prefix. Note:Changing Site URL is not Recommended! It is to be done in order to rectify SSL Insecure Content Error and Sitemap Generation with Https prefix. You have already made Https URL redirection in Cloud Flare. So Step 4 is Only for fixing Sitemap problem. Step-5 Check Your Website with Https Prefix. it will load Automatically with Green Lock in Chrome Browsers. Note That any Resource/URL without https prefix will generate INSECURE CONTENT and YELLOW SIGN in Browser Lock. So Check Your Resources. 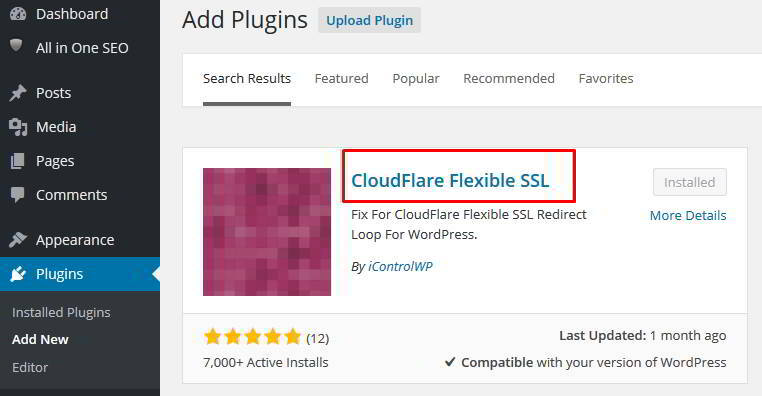 This Ends the Tutorial on How to Enable CloudFlare Flexible SSL in WordPress and You are Free to Comment Below for Problems and Help Below.If i will encounter any problem i will update the same here.